Do you Qualify for Rent Abatement? Commercial leasing agreements commonly extend up to 10 years – or longer – making negotiations key to long-term savings for your business. One of the greatest opportunities to reduce your monthly cost is rent abatement, or free rent. As you begin the discussion with a Lessor, it is important to understand what rent abatement is and how it can be used to your advantage. Unless there are extenuating circumstances at play, rent abatement is a provision best considered during new or renewal lease negotiations. This is when the Lessee has the most leverage, especially if a business has already shown itself to be an ideal tenant at the current or a previous property. Why Would a Landlord Provide Free Rent? If you are a new business needing time to get up and running, or even an established business faced with moving costs and possibly contributing funds to a buildout of your space, the Landlord should understand that you will need some time to build cash reserves back up before the payment of rent commences. If the Tenant is providing the Landlord a large cash security deposit, this is great leverage to negotiate more months of abatement. Furthermore, the cost of acquiring valuable tenants – tenants that take care of the space and pay rent on time – is not insignificant to the Landlord. 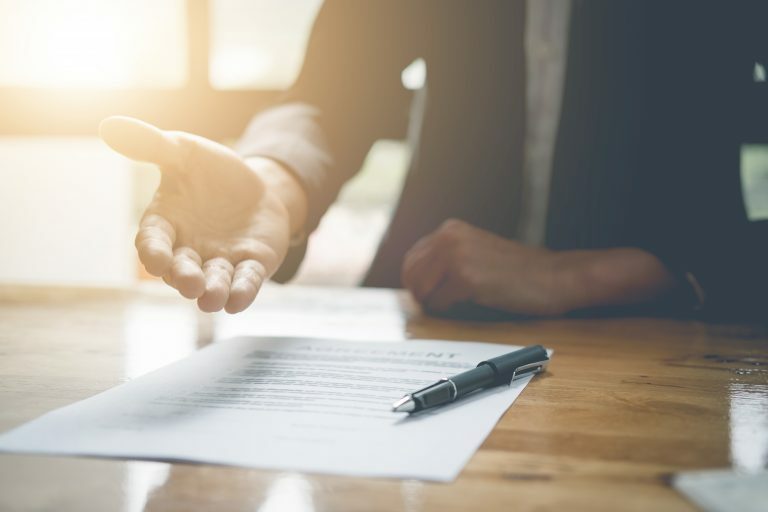 Leasing commissions, background checks and potential lost rent due to time the space would sit on the market are just a few factors they need to take into consideration when faced with negotiating leasing terms. Potential or current tenants can position rent abatement as a concession that benefits both parties. How Can You Have this Added to My Lease? Many business owners don’t realize rent abatement is an option, so simply knowing about and presenting this as an option during negotiations is half the battle. When entering into a discussion with a landlord, present this incentive as one of several the Lessor can provide to reach a mutually beneficial outcome. All negotiations are a give-and-take, and ultimately the Landlord needs to know they will not be losing money in the process. Rent abatement is one of the key terms that can be negotiated, along with tenant improvement dollars and rental rate, in order for both the Tenant and the Landlord to feel they’ve achieved a mutually beneficial deal. For more of Tenant Advisory Group’s expert tips for negotiating your commercial lease, click here. Bowtruss Coffee, Portillo’s Hot Dogs, even Bernie Sanders. Between businesses and notable politicians, it seems as if everyone is flocking to Chicago’s South Loop neighborhood and setting up shop. Students: Chicago is a bustling vibrant city, and it’s easy to overlook the impact of college students in the Loop area. Downtown, alone, is home to over 38,000 full-time college students, and there’s been a corresponding rise in student housing development and sales in recent years. Surge in multi-family population: Zillow predicts the South Loop will be Chicago’s second “hottest” neighborhood in 2016. With downtown, lakefront, Museum Campus, Grant Park and Columbia College all within walking distance, the South Loop makes an ideal location for anyone looking be near it all. And, as professionals from the Loop look to work and play close to home, developers are rushing to fill this need for more housing. If you’re in the business of recruiting or hiring temporary talent, being located near colleges is perfect for your industry. Transit and retail development: With the area’s growing residential population, there comes a surge in transit and retail development. Several bus lines run through the area that’ll easily connect you to all areas of the city. Not to mention, the number of El and Metra train stations nearby. With so many transit options, people living in the neighborhood will have an easy time commuting into downtown or any of the outlying neighborhoods like the West Loop, Lakeview, Fulton Market. Neighborhood shopping and dining is also flourishing. The shops at the Roosevelt Collection seem to grow day by day. Take for example, when the Roosevelt Collection was sold to Prudential for $222M last August, it was already 93% leased with retailers such as Victoria’s Secret, Container Store, Banana Republic and a 16-screen Kerasotes multiplex. It probably goes without saying, but having access to so many restaurants in the area gives businesses and their employees plenty of options for networking lunches and business-related entertaining. The South Loop market shows no signs of slowing as there’s just so much redevelopment and new developments heading to the area. And one of the best parts to this, is that in the meantime, there are still wonderful lease deals to be had at very affordable prices compared to the very tight markets of River North or River West! The key to finding them is to work with an experienced advisor in the area. Working with a broker or agent who knows the ins and outs of a city, will have access to many of the best hidden deals. Lastly, working with an advisor means you can be sure you’re getting the best and fair price, and terms for your business – most important when it comes to finding spaces in these “hotter” markets. Keep this in mind as you consider your next move in the Chicago market. It’s common knowledge in this business that most real estate agents will fail to succeed in their first year. After struggling to get by with little business, most would-be agents decide to move on. Aside from things like working harder than anyone else or making it a point to learn daily, there are a few key traits that successful brokers always put into practice. If you can work to embody these five traits today, you’ll be a much better broker or agent tomorrow. Starting with what is perhaps the most obvious, a successful real estate broker needs to be a polished sales person who knows how to build trusting, lasting relationships with owners and the decision makers of businesses. The twist here, however, is that commercial tenants are no longer just looking for square footage – they’re after an experience. The successful broker will shift their thinking from B2C to more like H2H – “Human to Human.” Treating your tenants as merely “renters” won’t get you very far. Treating people like people, however, will. Successful brokers find the unique opportunities to connect with their prospective tenants by not just finding them a space — they’ll find ways to make the tenant’s business dreams a reality. How do you put this into practice? Think about what it is that you are undertaking to bring an answer to the future needs of your client. This may require a few lunches or coffee meet-ups, but taking the time to really see your client’s business from their point of view allows you to switch your approach from “Here’s a wonderful space that has 10 private offices and that conference room you’re looking for”¦” to “The closed-off office space will give your agents the privacy they need to close deals faster, getting you 100x closer to making your dreams of running a Fortune 500 company a reality! We’ve touched on this before — especially for new agents, you don’t need to be well-versed in every market. You just need to be an expert in yours. The best opportunities are often less advertised, so if you know the market you’re in, you’ll know how to negotiate a great deal and always have the answer for both your client and the landlord. You’ll know the ins and outs on which landlords are the best to work with, and those who may be problematic. You’ll also get the most out of each negotiation, and know which spaces are available. How do you put this into practice? Make time to attend 1-2 networking events in your city each week. They don’t all have to be specifically related to commercial real estate, they can be from any industry. Get to know your restaurant or hospitality scene, the legal community, the banking community, the financial advisor community, and the CPA community. Grab a friend if you want, and meet and connect with folks outside of your social circle. It’s the broker’s job not only to find the client and negotiate a great deal, but to coordinate the architect, contractor, furniture vendor, phone & data broker, IT resource, banker/ financing, attorney, and anyone else involved in the transaction. Being able to keep everyone on track and driving towards the same goal is no easy feat. How do you put this into practice? Picture yourself as the quarterback (of the entire process) and you have the ball in your hands to throw to a teammate (project manage the entire process.) Dedicate your time to one play (task) at a time, and give it your full attention. Set deadlines and expectations with your teammates early on, and you’ll be on your way to victor. The old school role of the real estate agent was to act as the “gatekeeper” for any and all information, and keep the client in the dark. Today, with access to the Internet, the average buyer or seller of real estate is able to view practically all of the information which used to be the exclusive domain of the real estate agent. Use this to your advantage and get in the mindset of collaboration. How do you put this into practice? Don’t hide anything from your client. If they have questions, address them head-on. Always create an open, welcoming environment and share information freely. The more your clients know about real estate the better you look. It’s bold yet foolish to think you can do anything alone. Being successful often requires the help of others. How do you put this into practice? Recognize your strengths and weaknesses. Maybe you’re fantastic and making connections with hundreds of people a week, but your organizational skills would make anyone cringe. Hire someone who can help. Maybe it just means bringing on an excited intern to help with some of your filing and emails. Whatever it is, do it. It’s a rare profession that requires these five skill sets to succeed. If you see areas where you can improve, work them into your daily practice slowly. Pick one or two of these traits to work on each month, and hopefully, you’ll see improvements in your business. The commercial real estate market is on the upswing and deal activity is soaring! Today, there are hundreds of thousands of investment properties for sale or lease. Unfortunately, a large number of those properties are represented by folks who are inexperienced, or worse, lazy. Whether you’re looking to sell or make a purchase, or to protect yourself, your money and your future investment, here are 3 easy ways you can spot a sloppy seller in seconds. Probably the most obvious tip of spotting a sloppy seller, is taking a look to see if the property available is also sloppy. This includes photos of a space that’s unkempt (grounds are trashed, rooms unfinished, garbage shown in photos). Keep in mind, we’re in the golden age of social sharing, with millions of people browsing sites like Houzz.com, Instagram and Pinterest. While we all know the 8 megapixels on our iPhone 6 phones are no slouch, you don’t want your representative (or an agent who represents a property you’re interested in) to take photos of the space using just their cell phone. So if you spot a property that shows grainy and dark photos, chances are you’re going to skim right past the listing. Making a property look nice is real estate 101. You want to entice people to buy it, and all of this above indicates the seller might not be so savvy. We’re in an exciting time – the real estate market is moving at a fast pace and the energy is buzzing. However, if you ever get the feeling that someone is just “checked out” of the process, it’s a good indication that the seller is in a hurry to get a property off their hands. They might be willing to accept an offer that’s a lower price than expected. Or, they might even skimp out on having a space properly inspected – leaving you the buyer – stuck with potentially thousands of dollars of repairs. Excited at the idea of adding a win in their column, an inexperienced agent may encourage a seller to accept any offer rather than risk losing the deal. Additionally, agents who are unfamiliar with real estate in the area may make moves that unknowingly hurt their clients. Reputation is key in this business, so don’t be afraid to ask around and confirm a seller’s reputation. Whether you’re an agent or someone who’s making a purchase, do your best to avoid taking on the 3 bad habits above. Instead, here’s a handy guide of the 7 habits of today’s successful commercial real estate agents. 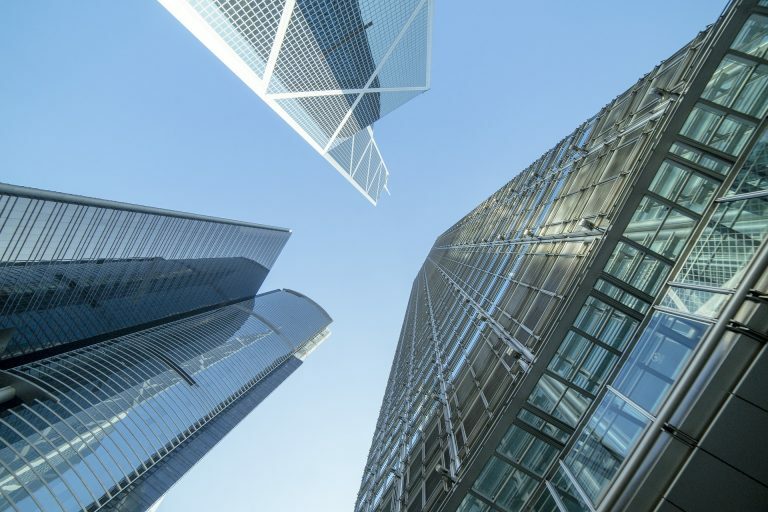 With any professional investment, plan ahead, do your research, keep abreast of the latest trends, and you’ll be able to play the commercial real estate investment game like a pro. If you’re looking to buy or sell space, first and foremost, always seek the help of a trusted advisor or broker in your area. When searching for the most suitable office for your company, it’s important to consider the building class type. While the class type is often overlooked by tenants, its actually an important factor to determine and compare one building to another. When the class is taken into consideration and understood, one will find there is a big difference. Office buildings are classified into three categories (A, B, and C). The class can be determined by age, amenities, technology capabilities, quality of HVAC systems, landscaping and how well the building has been maintained. These buildings are considered the highest quality available and state of the art. This is due to their modern architecture, sound infrastructure, well functioning HVAC system, professional management, tighter security and altogether well manicured appearance. Generally, these buildings will be under 10 years old. Thus, a Class A building or office space will be the most expensive. These buildings are still high quality, but may be a little out-dated. The average age will be between 10 and 20 years. Even in this case many tenants and/or landlords find these buildings to be a good investment. The technology capabilities may not be best in class, but typically will suffice. Security may or may not be on staff and typically it is not required to check in, in order to reach the space. While the amenities of Class B spaces rank average, with some facade work, a bit of interior redesign, along with an upgrade in management these buildings and spaces have the potential to be converted to a Class A status. This class varies depending upon location (city, suburb, town, etc). These buildings are generally 20 years old at minimum. Some may be well kept, however, normally these buildings will lack many modern amenities. Technology will be lower quality and the HVAC system may not function well. In addition, this could include old elevators and mechanical systems, moderately run-down parking lots, and out-of-date furnishings. These buildings will not have security staff or food available on the premises.